Places to see at Jayanti: There are in fact, quite a number of places to see at Jayanti other than the Jayanti River. 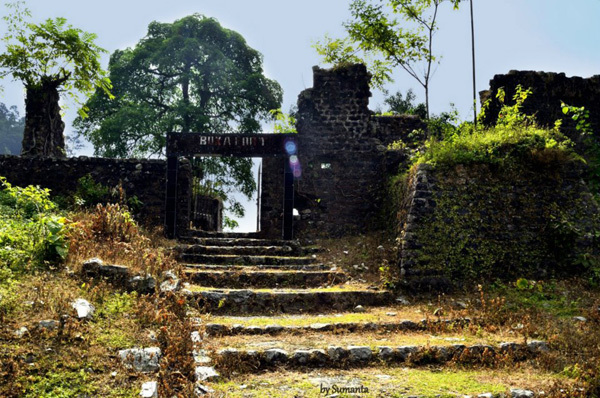 One such place is the ruins of the historic Buxa Fort which is located on top of the Buxa Hill, at a height of 2600 feet. During the time of British India, this fort used to be a prison for freedom fighters. After that, it became the spot for refugee camps for Bangladeshis and Tibetans. There is also a Pokhri (pond) located on the nearby Pokhri Hill, which is considered holy by the locals. It is some 4 km from Jayanti. This place has great religious importance for the Bhutanese and to reach both Pokhri and Buxa Fort, you need to trek through the forests. Mahakal is another popular sightseeing destination and popular pilgrimage site. It is located very close to the Bhutan border and is a cave devoted to Lord Shiva. The hike through the forest towards the Mahakal cave is famous for bird watching. 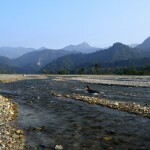 You can also trek to the nearby Bala Riverbed (another river near Jayanti), which is a great place for bird watching, mainly for peacocks but don’t stay back till late evenings because it is a leopard prone zone. Another great destination for elephant viewing is Bhutia Basti just 1.5 kms from Jayanti. Nearby attractions of Jayanti: You can actually visit a lot of places during your stay in Jayanti and one such place is the Jaldapara Wildlife Sanctuary which is one of the best forests in India to view Rhinoceroses. The sanctuary covers a total area of 216 sq kms and is covered by woods, grasslands, flowing streams, sandy river banks and long lines of trees. 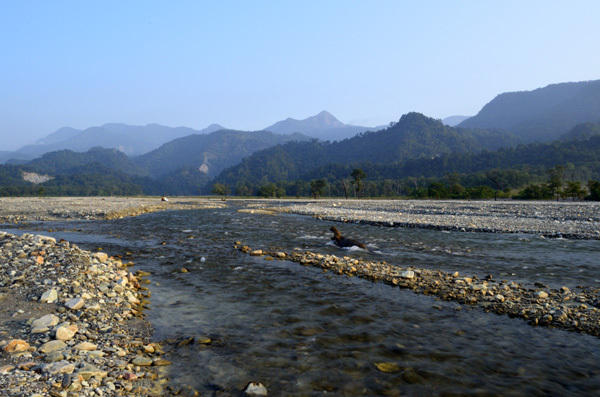 It is located in Jalpaiguri district and has the Torsa River flowing through it. Other than rhinos, Jaldapara is also the home of a wide range of birds like paradise flycatcher, Bengal Florican, racket-tailed Drongo and hornbill. Totopara – the village of the Toto tribe is one of the oldest tribes of India who reside in the area. 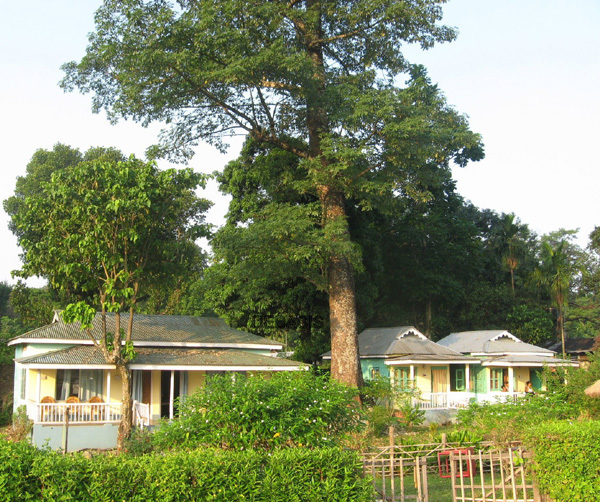 From Jaldapara Wildlife Sanctuary, you can also visit Khairabari Leopard Sanctuary. The Chilapata Wildlife Reserve can be an equally exciting place to visit. One of the main interests of the Chilapata Forest reserve is the “Nalraja Garh” or “Mendabari Fort,” situated very close to the Bania River. The fort is in ruins and it speaks a lot about the Nal kings. You can also visit Cooch Behar town which is a very important historic tourist destination. This town is very famous for its Madan Mohan Bari temple and Cooch Behar Palace, the maternal house of Maharani Gayatri Devi. Things to do in Jainti: Nature walk and wildlife safari are the two best things you can do during your visit to Jainti and its surrounding areas. Bird watchers would have a gala time in Jainti too. How to reach Jayanti: If you are traveling by air, then Bagdogra Airport in Siliguri will be the nearest, just 195 km from Jayanti. If you are traveling by rail, then you have to get down at Alipurduar which is the nearest railway station. 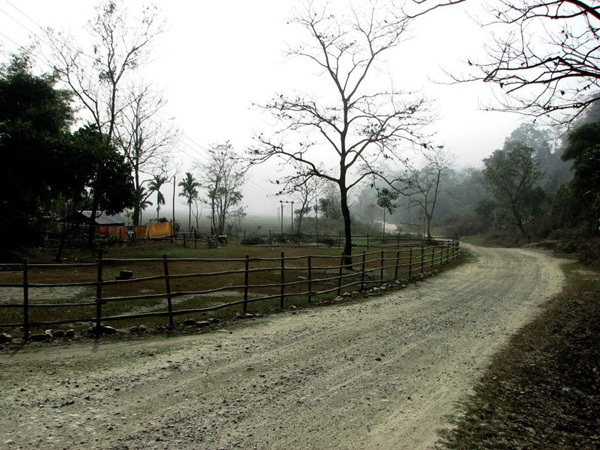 Jayanti is some 30 km from Alipurduar. You can also reach Jayanti from Siliguri, Cooch Behar and Jaldapara via Rajabhatkhawa. Taxis to Jayanti are available at Alipuduar. Best time to visit Jayanti: You can visit Jayanti any time of the year but it is advisable to avoid the rainy season when the region might become quite inaccessible. 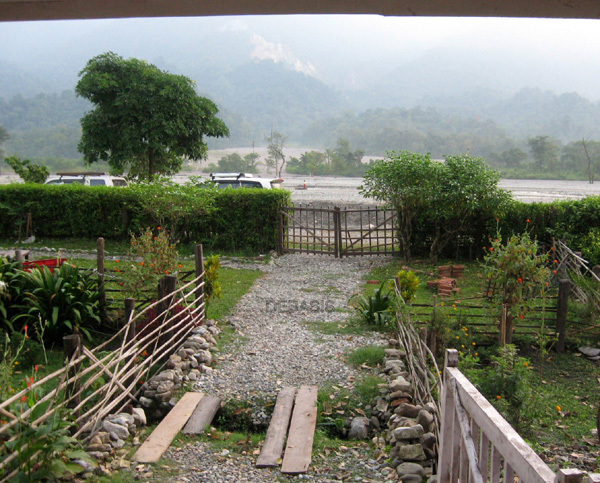 Lodging and dining facilities in Jayanti: Our homestay in Jayanti is located amidst lush green forests and overlooks the Jayanti River and the mountains of Bhutan. Family rooms and Double Bedrooms are available here with facilities of attached bathrooms and hot water. The owner will arrange the permits to enter the nearby forests and cars and guides to take you to the watch towers and local sightseeing trips. Food is essentially Bengali cuisine served with lots of care. Photographs by Debasis, Sumanta Pramanick, Achintya Bhar. 1. Bala Riverbed (another river near by jayati) trek, a great place for Bird watching, mainly for peacock. and at night time it’s leopard prone zone. 2. Bhutiya Basti: Another location 1-1.5km away from basanti. A nice tribal village. If you stay over there a night then you could have 99.99% chances to see a team of wild elephant.